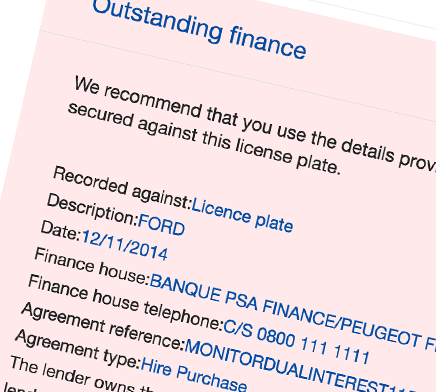 1 in 4 cars we check has a live finance agreement. 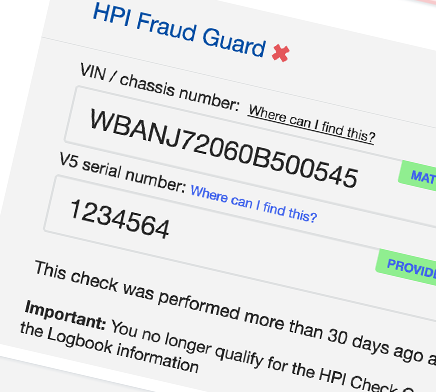 1 in 20 cars checked has a Mileage Discrepancy. Has the car been Written Off? 1 in 3 cars we check is a write-off. We’ve made some changes to the website and report so it may appear different to when you last visited us. Don’t be alarmed, these changes are intended to improve your experience on our website. 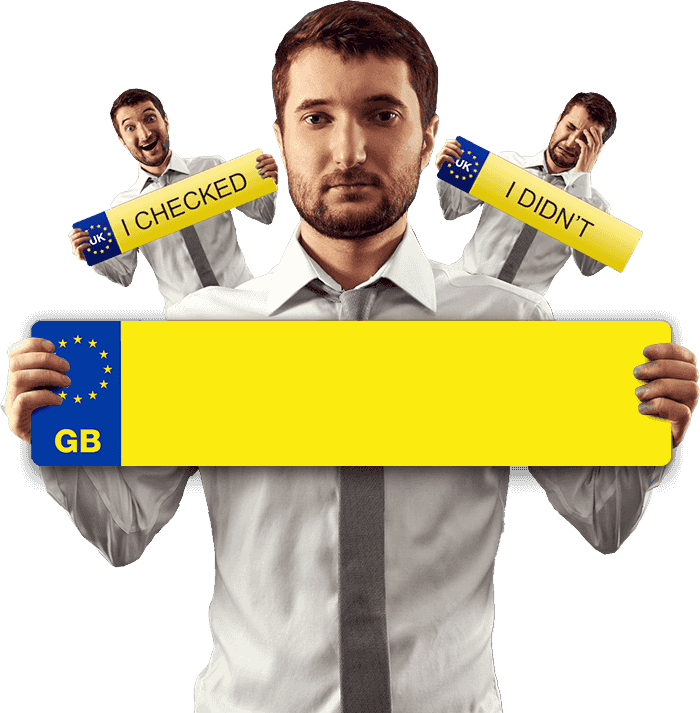 Vehicle information comes direct from DVLA specific to your vehicle giving you the chance to check you have the correct paperwork. 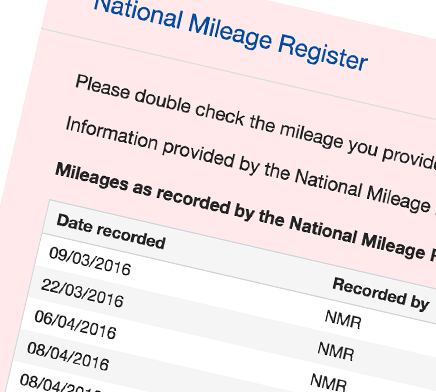 Our mileage check collects mileage results from a range of sources, including HPI's®; NMR , BVRLA, DVLA, Manufacturer and trade association. 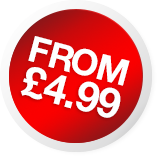 Our Finance Checks are supplied directly from HPI™ Check and include the finance company, finance start date and a reference number if found. 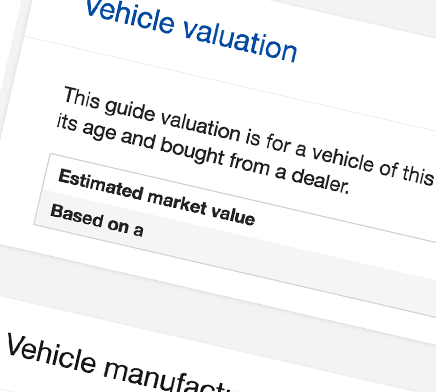 Performance and Environmental data may not be available for vehicles over 10 years old and for non passenger cars.